Weddings are a highly personal affair, and when two individuals get married, they try to arrange the ceremony according to who they are as individuals. 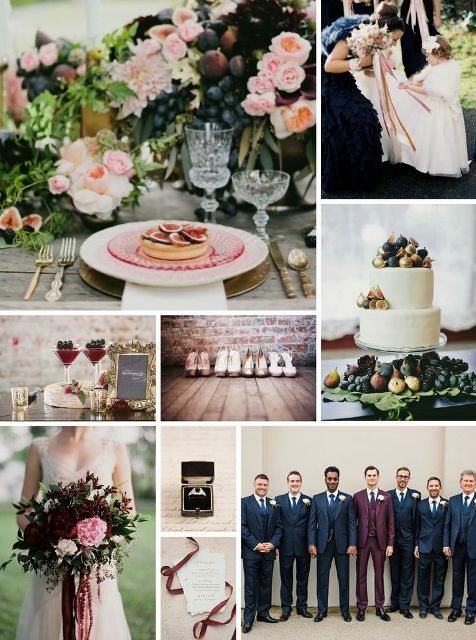 However, keeping aside all the individuality involved, wedding trends also affect their planning and arrangement. 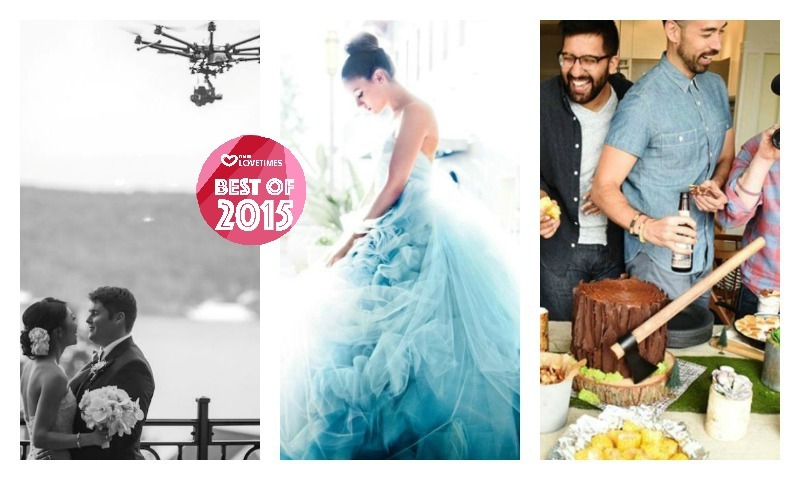 We had our eyes trained on some of the more happening wedding trends of 2015, and here are the top 10 that emerged. 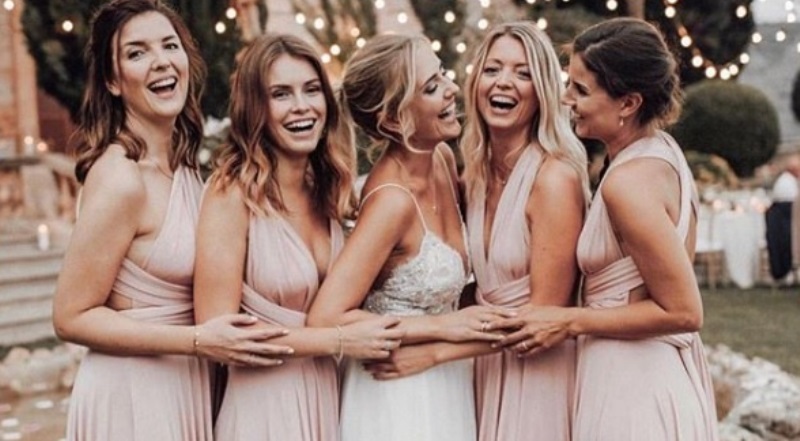 One of the most fashionable things to do this year at a wedding was to ask all your guests to wear white, especially the mother of the brie, the bridesmaids, the flower girls, everyone. This is a major deviation from tradition because brides are over the idea that only they are supposed to be dressed in white. 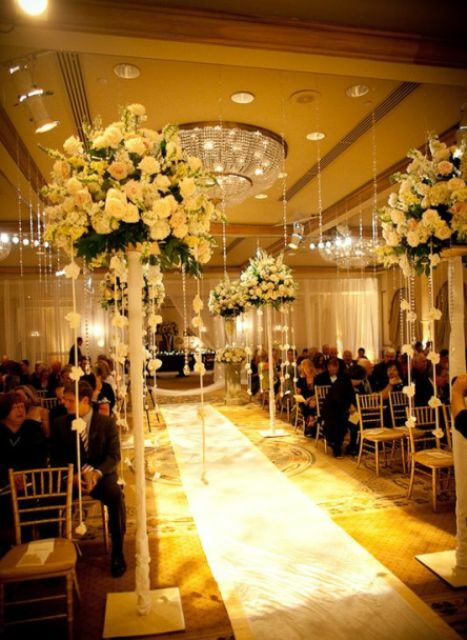 In fact, it lends a sort of uniformity and evenness to the ceremony, and lets other elements such as the décor, the tables, the invites, the favors, and the flowers to stand out. 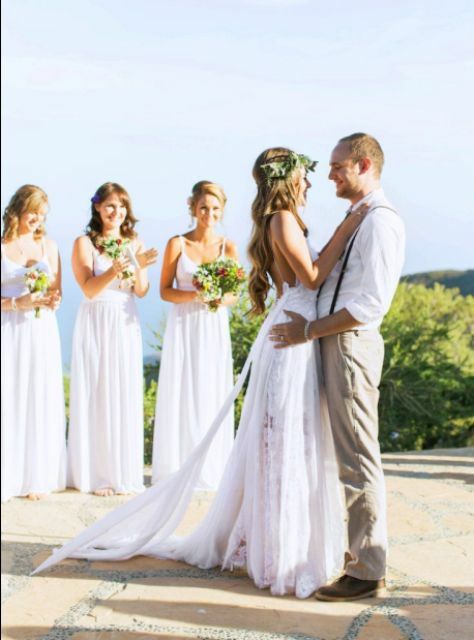 Contrary to what you can imagine, an all-white wedding actually looks super classy, and doesn’t take any attention away from the exquisite bride. Choosing a wedding cake is one of the more crucial parts of planning a wedding. Usually, when you think of wedding cakes, things like elaborate designs, textures, colors, specially crafted elements, sugar additions, fondant, buttercream, etc., come to mind. 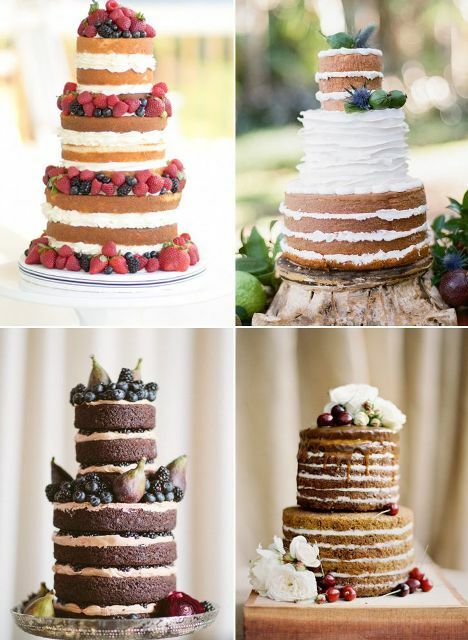 However, brides and grooms this year mostly chose to go for naked, rustic wedding cakes, meaning that the layers of the cake, including the cream between the layers were exposed, without the garb of fondant, buttercream, or the like. Even if it doesn’t sound too appealing, the pictures prove otherwise, because naked wedding cakes are super easy to make, you save a lot of money, and on top of it all, they are a spectacle in themselves. 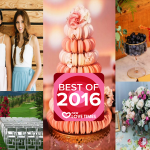 If we are talking about wedding trends, we have to check out the wedding trends that brides seemed to favor this past year. 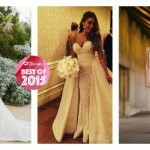 They chose another dramatic break from tradition with two-piece wedding dresses, with a separate blouse and a skirt, whether it was a sleek column dress or a bouffant. 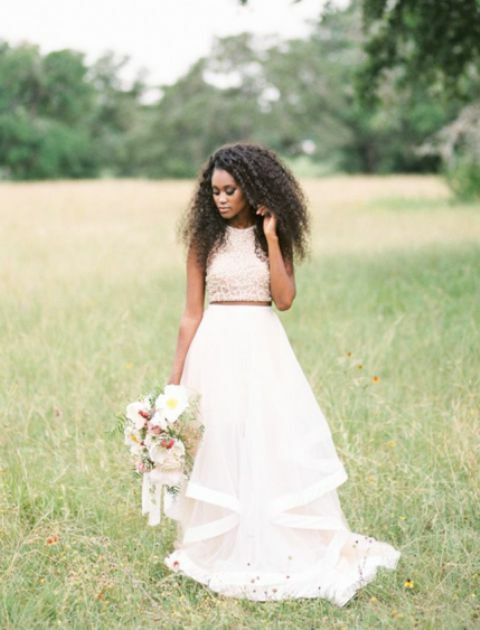 Showing the midriff became the hottest style statement to make when walking down the aisle, and to be honest, we loved it! 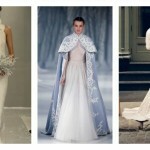 The brides who got married this year were influenced tremendously by royalty and royal color palettes including shades such as dark blue, blush, burgundy, pinks, pastels, whites, etc., This is mainly because no one is over Prince William and Kate’s royal wedding, and shows like Downton Abbey became super popular, with its influence infiltrating the wedding planners of brides. Brodal showers? Yes, you actually read that right. Brodal showers are basically bridal showers, but for men. This year, they decided to get greedy and have their own pre-nuptial parties with their boy gangs, and it became a fast-growing trend, with most grooms holding their own bridal shower, which their friends organized, to celebrate their impending wedding. 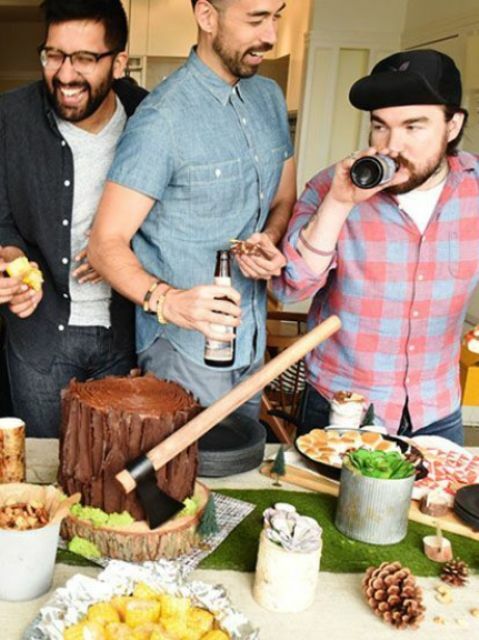 In fact, they even came with themes such as Batman themes, lumberjack themes, and so on, which have convinced us that this trend is here to stay. 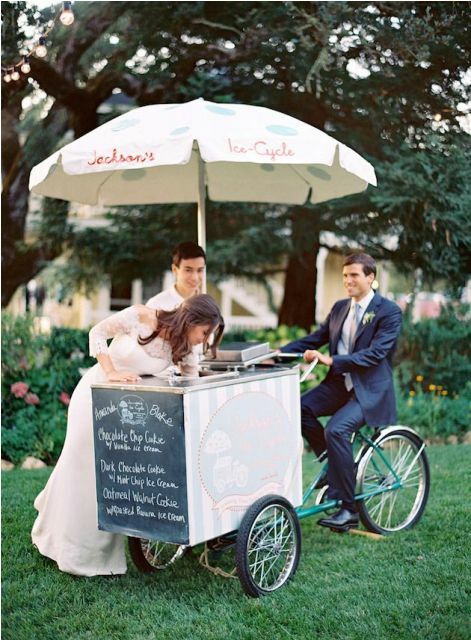 Another trend that has gripped weddings this past year is hiring whole food trucks for your wedding venue, whether it is a fast-food truck, ice cream truck or any other kind of food truck at your wedding venue. 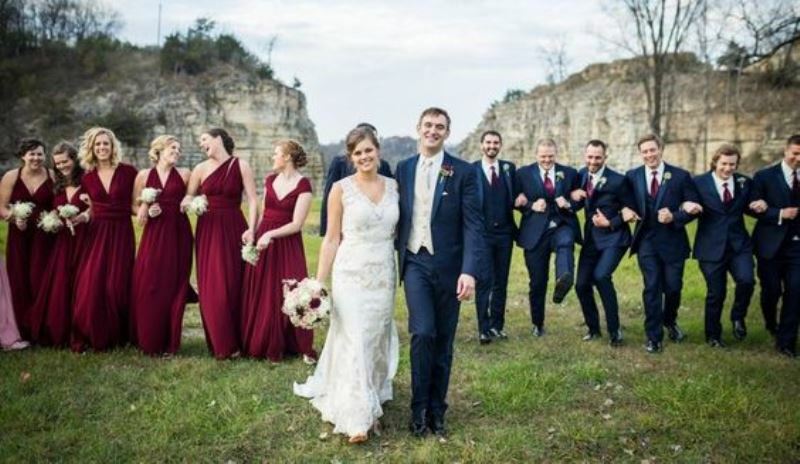 Not only is it a convenient way to feed your guests, but it also makes for a great addition to your wedding ceremony, and you can take some adorable pictures with your new spouse alongside it. 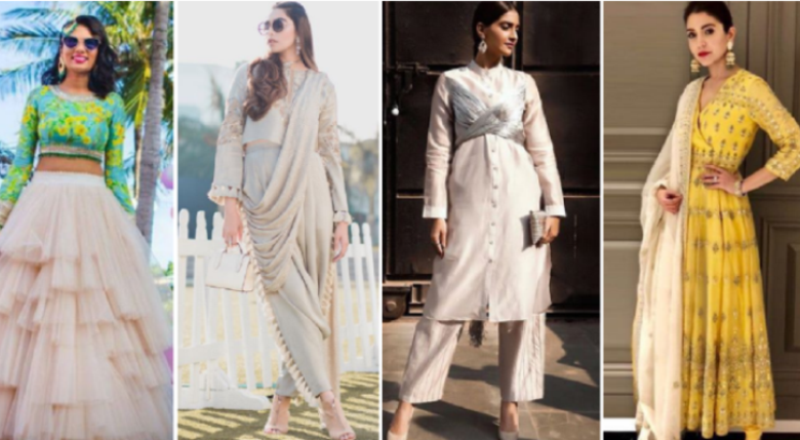 There cannot possibly be just one addition to the list when it comes to wedding dress trends, and this is one trend that most brides did not hesitate to embrace. Tinted wedding dresses are a welcome change from the traditional white wedding dresses that brides have worn through the ages. 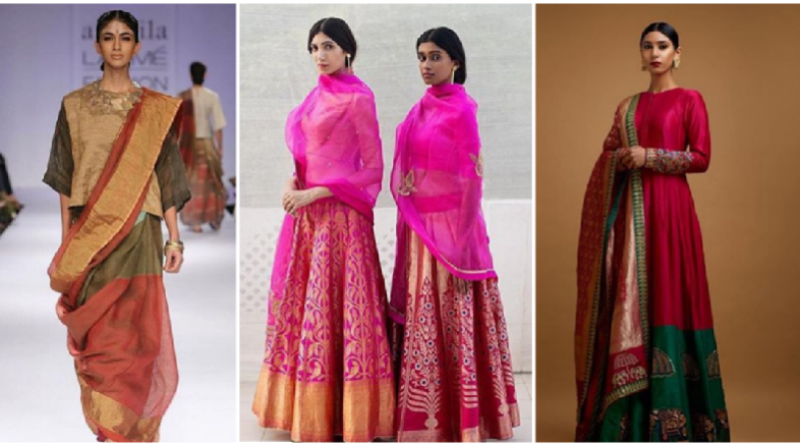 Whether the dresses are pink-tinted, blue-tinted, purple-tinted or any other color, it adds that much personality and character to the dress. 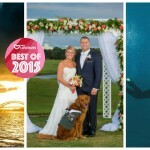 Drone photography seemed to be the new in thing this year when it came to wedding photography, because people are always looking for ways to get unique photos to remind them of their special day. 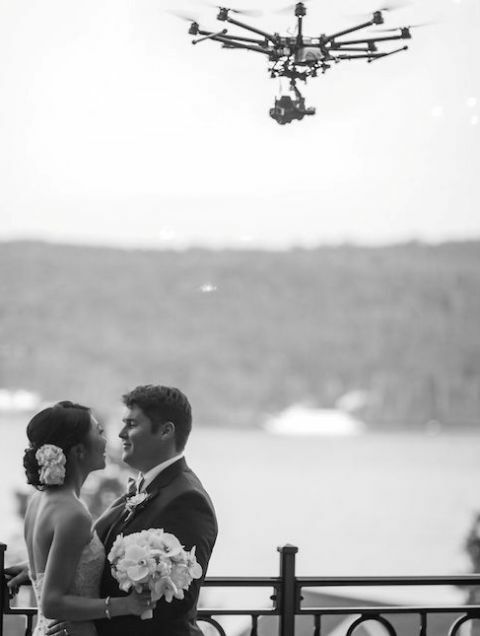 Drones have become easily available and they can be hired to take high quality pictures of your wedding day. They can take aerial shots which were definitely not possible before, and people have certainly embraced the trend. 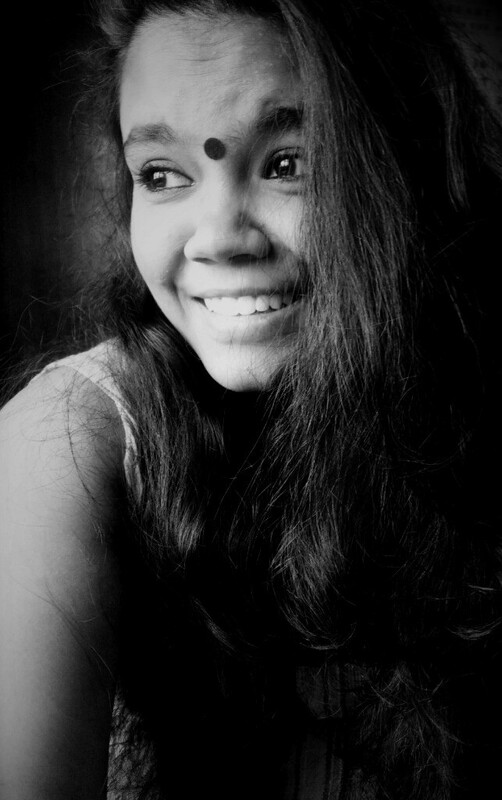 On one side, there are people who embraced the formal, royal, symmetrical venue décor for their weddings, while many others chose a diametrically opposite and asymmetrical trend, which is to work their décor, especially with wild flower arrangements, ditch the large, properly arranged matching centerpieces, and use the seasonal blooms, wild flowers, greens and other such elements which gave the weddings a rather Bohemian feel, which added to the charm and also saved up on the budget. 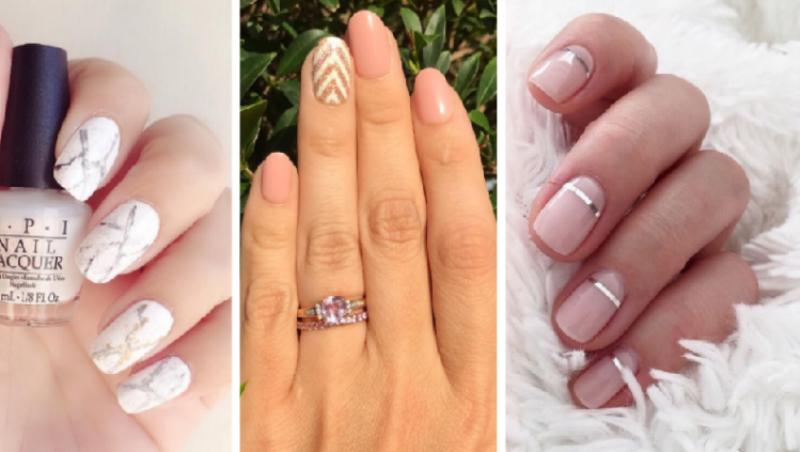 Which of these wedding trends would rule the roost in 2016 and which will be given the boot? Hit us up with your opinions in the comments below! Every year, there are some trends that catches the collective imagination of brides and grooms alike. 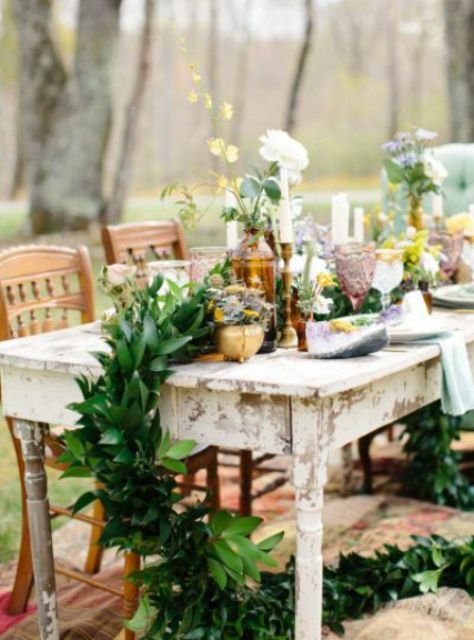 Here's a look at the 10 hottest wedding trends of 2015.